Dr. Gary L. Wagoner, D.C., M.U.A.C. David J Friedman, D.C., is a chiropractor located in Phoenix, AZ. Take the next step and contact Dr. David J Friedman, D.C., for a consultation in Phoenix, AZ or to get more information. Jennifer Johnson, D.C., is a chiropractor located in Phoenix, AZ. Take the next step and contact Dr. Jennifer Johnson, D.C., for a consultation in Phoenix, AZ or to get more information. Keith L Kujawski, D.C., is a chiropractor located in Phoenix, AZ. Techniques: • Diversified Take the next step and contact Dr. Keith L Kujawski, D.C., for a consultation in Phoenix, AZ or to get more information. David Lowenstein, D.C., is a chiropractor located in Phoenix, AZ. Techniques: • Gonstead • Diversified Take the next step and contact Dr. David Lowenstein, D.C., for a consultation in Phoenix, AZ or to get more information. Matthew Harty, D.C., is a chiropractor located in Phoenix, AZ. Take the next step and contact Dr. Matthew Harty, D.C., for a consultation in Phoenix, AZ or to get more information. 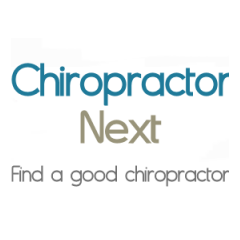 James D Schaefer, D.C., is a chiropractor located in Phoenix, AZ. Techniques: • Gonstead • Diversified • Activator Methods • Thompson Take the next step and contact Dr. James D Schaefer, D.C., for a consultation in Phoenix, AZ or to get more information. L Gardner, D.C., is a chiropractor located in Phoenix, AZ. Take the next step and contact Dr. L Gardner, D.C., for a consultation in Phoenix, AZ or to get more information. Andrew R Heath, D.C., is a chiropractor located in Phoenix, AZ. Take the next step and contact Dr. Andrew R Heath, D.C., for a consultation in Phoenix, AZ or to get more information. Nancy L Montoya, D.C., is a chiropractor located in Phoenix, AZ. Take the next step and contact Dr. Nancy L Montoya, D.C., for a consultation in Phoenix, AZ or to get more information. Keith Smigiel, D.C., is a chiropractor located in Phoenix, AZ. Techniques: • Thompson • Diversified • Network • Flexion-Distraction Take the next step and contact Dr. Keith Smigiel, D.C., for a consultation in Phoenix, AZ or to get more information. Robert Kuhn, D.C., is a chiropractor located in Phoenix, AZ. Take the next step and contact Dr. Robert Kuhn, D.C., for a consultation in Phoenix, AZ or to get more information. Frank R Sinatra III, D.C.
Frank R Sinatra III, D.C., is a chiropractor located in Phoenix, AZ. Techniques: • Thompson • Gonstead • Diversified Take the next step and contact Dr. Frank R Sinatra III, D.C., for a consultation in Phoenix, AZ or to get more information. Jacob Hoerr, D.C., is a chiropractor located in Phoenix, AZ. Take the next step and contact Dr. Jacob Hoerr, D.C., for a consultation in Phoenix, AZ or to get more information. Robert L Gear, D.C., is a chiropractor located in Phoenix, AZ. Techniques: • Diversified Take the next step and contact Dr. Robert L Gear, D.C., for a consultation in Phoenix, AZ or to get more information. Anthony Infantino, D.C., is a chiropractor located in Phoenix, AZ. Techniques: • Upper Cervical • Pettibon • Diversified • Palmer Package • Chiropractic Biophysics • Toggle Recoil Take the next step and contact Dr. Anthony Infantino, D.C., for a consultation in Phoenix, AZ or to get more information. Russell G, Stowell, D.C., is a chiropractor located in Phoenix, AZ. Techniques: • Activator Methods • Manual Adjusting • Motion Analysis (Palpation) • Myofascial • Trigger Point Therapy Take the next step and contact Dr. Russell G, Stowell, D.C., for a consultation in Phoenix, AZ or to get more information. Armand Rossi, D.C., is a chiropractor located in Phoenix, AZ. Take the next step and contact Dr. Armand Rossi, D.C., for a consultation in Phoenix, AZ or to get more information. Sheldon Tauber, D.C., is a chiropractor located in Phoenix, AZ. Techniques: • Diversified Take the next step and contact Dr. Sheldon Tauber, D.C., for a consultation in Phoenix, AZ or to get more information. David Mancuso, D.C., is a chiropractor located in Phoenix, AZ. Take the next step and contact Dr. David Mancuso, D.C., for a consultation in Phoenix, AZ or to get more information. David J Doperak, D.C., is a chiropractor located in Phoenix, AZ. Techniques: • Chiropractic Biophysics • Thompson • Toggle Recoil • Diversified • Trigger Point Therapy Take the next step and contact Dr. David J Doperak, D.C., for a consultation in Phoenix, AZ or to get more information. Vicki S Reach, D.C., is a chiropractor located in Phoenix, AZ. Techniques: • Palmer Package • Diversified • Activator Methods Take the next step and contact Dr. Vicki S Reach, D.C., for a consultation in Phoenix, AZ or to get more information. Charles Carpenter, D.C., is a chiropractor located in Phoenix, AZ. Techniques: • Diversified • NUCCA • Gonstead • Thompson Take the next step and contact Dr. Charles Carpenter, D.C., for a consultation in Phoenix, AZ or to get more information. Dale Folz, D.C., is a chiropractor located in Phoenix, AZ. Techniques: • Gonstead • Diversified Take the next step and contact Dr. Dale Folz, D.C., for a consultation in Phoenix, AZ or to get more information. Clinton H McJunkin II, D.C.
Clinton H McJunkin II, D.C., is a chiropractor located in Phoenix, AZ. Take the next step and contact Dr. Clinton H McJunkin II, D.C., for a consultation in Phoenix, AZ or to get more information. Randall Widmaier, D.C., is a chiropractor located in Phoenix, AZ. Techniques: • Activator Methods • Manual Adjusting Take the next step and contact Dr. Randall Widmaier, D.C., for a consultation in Phoenix, AZ or to get more information. L P Hales, D.C., is a chiropractor located in Phoenix, AZ. Techniques: • Manual Adjusting Take the next step and contact Dr. L P Hales, D.C., for a consultation in Phoenix, AZ or to get more information. Dan Conner, D.C., is a chiropractor located in Phoenix, AZ. Techniques: • Diversified • Certified Sports Physician Take the next step and contact Dr. Dan Conner, D.C., for a consultation in Phoenix, AZ or to get more information. Randall C Pruitt, D.C., is a chiropractor located in Phoenix, AZ. Techniques: • Manual Adjusting • Active Release Technique • Manipulation Under Anesthesia • Spinal Decompression Take the next step and contact Dr. Randall C Pruitt, D.C., for a consultation in Phoenix, AZ or to get more information. Scott Stratmann, D.C., is a chiropractor located in Phoenix, AZ. Take the next step and contact Dr. Scott Stratmann, D.C., for a consultation in Phoenix, AZ or to get more information. Troy Scheible, D.C., is a chiropractor located in Phoenix, AZ. Take the next step and contact Dr. Troy Scheible, D.C., for a consultation in Phoenix, AZ or to get more information. NIcole Renee Buchanan, D.C., is a chiropractor located in Phoenix, AZ. Techniques: • Diversified • Sacro Occipital Technique • Activator Methods • Manual Adjusting • Cox • Flexion-Distraction Take the next step and contact Dr. NIcole Renee Buchanan, D.C., for a consultation in Phoenix, AZ or to get more information. Gary C Hatlen, D.C., is a chiropractor located in Phoenix, AZ. Techniques: • Palmer Package • Diversified • Gonstead • Motion Analysis (Palpation) • Trigger Point Therapy Take the next step and contact Dr. Gary C Hatlen, D.C., for a consultation in Phoenix, AZ or to get more information. Heather B Freeman, D.C., is a chiropractor located in Phoenixville, PA. Techniques: • Pierce • Diversified • Nimmo Take the next step and contact Dr. Heather B Freeman, D.C., for a consultation in Phoenixville, PA or to get more information. Sergio Nino, D.C., is a chiropractor located in Phoenix, AZ. Take the next step and contact Dr. Sergio Nino, D.C., for a consultation in Phoenix, AZ or to get more information. Omid Alyeshmerni, D.C., is a chiropractor located in Phoenix, AZ. Techniques: • Thompson • Bio-Energetic Synchronization Technique • Total Body Modification Take the next step and contact Dr. Omid Alyeshmerni, D.C., for a consultation in Phoenix, AZ or to get more information. Stephanie Erickson, D.C., is a chiropractor located in Phoenix, AZ. Techniques: • Diversified Take the next step and contact Dr. Stephanie Erickson, D.C., for a consultation in Phoenix, AZ or to get more information. Andy Sbiliris, D.C., is a chiropractor located in Phoenix, AZ. Take the next step and contact Dr. Andy Sbiliris, D.C., for a consultation in Phoenix, AZ or to get more information. Jeffrey N Floyd, D.C., is a chiropractor located in Phoenix, AZ. Techniques: • Chiropractic Biophysics • Activator Methods • Diversified Take the next step and contact Dr. Jeffrey N Floyd, D.C., for a consultation in Phoenix, AZ or to get more information.